If a message has expired before the recipient could download the files, a red X will be displayed. When a message is expired, the recipients of the files are no longer able to download the files from that distribution. 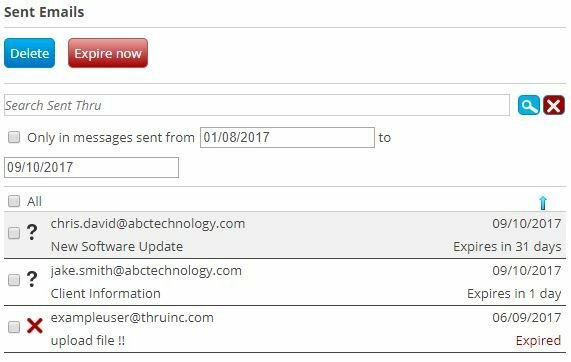 Deleting a message – Deleting a Thru message will cause the sent files to no longer be active (the links will expire) and will also permanently remove the message from Sent Emails. 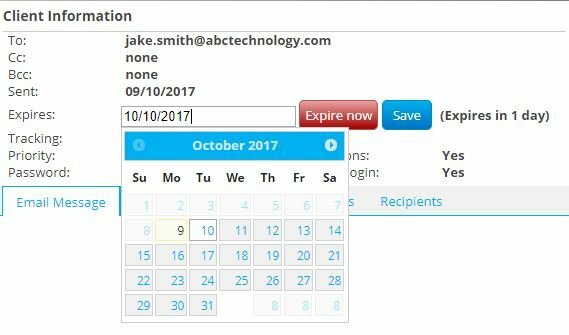 To delete an email, check the box to the left of the message and then select the Delete Distribution button. When an email is selected, the content of the email will be displayed on the right as shown below. This will also display more intricate details of the sent emails such as the tracking number, notification and required login settings, etc.